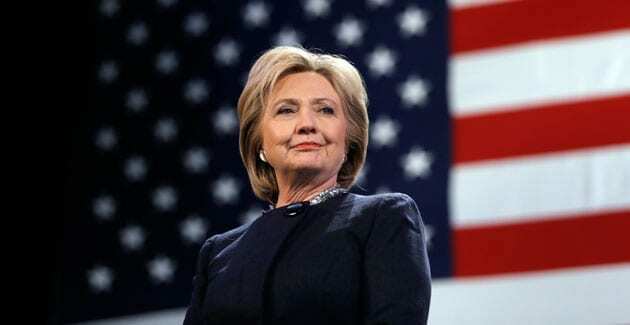 WASHINGTON, DC — Hillary Clinton will address the joint convention of the National Association of Black Journalists and the National Association of Hispanic Journalists in Washington on Friday, the two groups confirmed on Monday. “The format is up in the air at the moment and it is unclear if Clinton will take questions, according to a source familiar with the discus- sions,” Darren Sands and Adrian Carrasquillo reported for BuzzFeed News just before midnight on Sunday. They also wrote, “The groups extended an invitation to [GOP nominee Donald] Trump to speak as well, as many other Latino and black organizations have done in the lead up to the general election, but his campaign has not yet responded,” sources said. Clinton addressed the NAACP National Convention in Cincinnati last month, forcefully condemning recent police shootings, including the killing of officers Brad Garafola, Matthew Gerald, and Montrell Jackson in Baton Rouge, La. She also addressed the General Conference of the AME Church in Philadelphia that month. The Democratic National Convention featured the mothers of African Americans killed in police custody. Then-Sen. Barack Obama also addressed that convention, returning the next year to speak before Unity: Journalists of Color in Chicago. “Throughout her campaign, Hillary Clinton has placed an emphasis on inclusion and has shown support for communities of color. Her decision to support this event further shows her commitment to diversity, and we welcome her just as we’ve welcomed President George W. Bush and Mexican President Vicente Fox to previous conventions,” said NAHJ President Mekahlo Medina. As president, Bush addressed the Unity convention in Washington in 2004, along with his opponent, then-Sen. John Kerry, D-Mass. While he did not address NABJ or NAHJ separately, that convention included NABJ, NAHJ, the Asian American Journalists Association and the Native American Journalists Association. Likewise, Gore spoke to NABJ as vice president in 1996, but as a presidential candidate in 1999, addressed Unity. Sen. John McCain, R- Ariz., then the presumed Republican nominee, skipped the 2008 Unity convention for Ohio State University in Columbus, Ohio, to appear at Lance Armstrong’s Livestrong Summit and Livestrong Presidential Town Hall on Cancer. “Presidential contenders appeared Thursday at the Unity ’99 convention of minority journalists — including George W. Bush, who hastily rearranged his schedule for an impromptu walk-through. “The Republican governor of Texas ordered his staff to rearrange his schedule after a Times story Thursday reported that even though he was campaigning here he couldn’t fit an appearance before the 6,000 journalists into his schedule. His rebuff provoked criticism from some at the conference, who noted that Bush has made racial and ethnic inclusion a key theme of his campaign. “Unlike two of his rivals for the White House – former Democratic Sen. Bill Bradley of New Jersey and Sen. John Mc- Cain (R-Ariz.) — Bush spent only minutes at the conference, informally greeting the crowd that quickly gathered around him. Vice President Al Gore is scheduled to speak to the group today. “Karen Hughes, a Bush spokeswoman, said a decision to alter his schedule came as Bush was en route to Seattle and after campaign officials read the morning newspapers. ‘We read the L.A. Times story this morning and people were saying it was an important signal to send, so he decided to make the effort,’ Hughes said. The Asian American Journalists Association has invited the presidential candidates to a “town hall” event during its Aug. 10-13 convention in Las Vegas, but there has been no word on whether the candidates have accepted. Sandra Long Weaver, editorial director for The Tennessee Tribune is the one of the 44 founders of the National Association of Black Journalist. On Friday, August 5th, Mrs. Long Weaver will be inducted into the NABJ Hall of Fame with other founders. The president of the Nashville NABJ Chapter is Jason Luntz, Social Media director, also with the Tennessee Tribune.